The Turtle Journal team, in partnership with Mass Audubon’s Allens Pond Wildlife Sanctuary, hosted a release of 14 rare diamondback terrapin hatchlings on Thursday afternoon, 19 September. 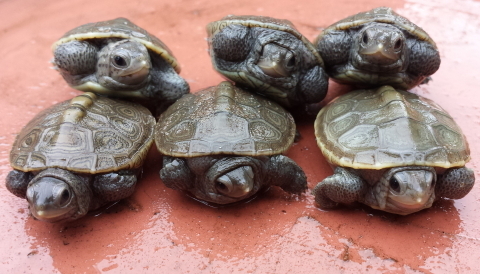 These perfect babies were rescued by TJ’s Sue Wieber Nourse from a vulnerable nest dug by their momma in an Allens Pond overwash area on the night of 20 June (see Rare Turtle Babies Saved During Moonlight Rescue at Allens Pond Wildlife Sanctuary). 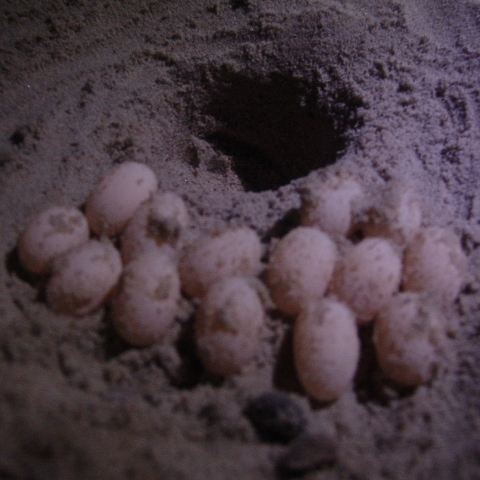 After incubating in the Turtle Journal’s rescue garden, eggs began to pip on September 10th and 14 hatchlings emerged on Lucky Friday the 13th (of September) 85 days later. As folks gathered for the release, Sue Wieber Nourse was interviewed by EverythingWestport as she related the story of the hatchlings rescue and talked about the importance of conserving this threatened species of salt marsh turtles. 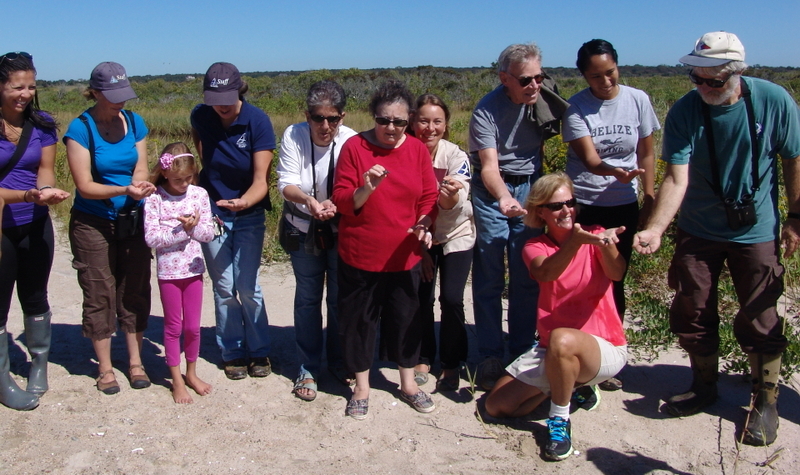 Before releasing these hatchlings into the nursery salt marsh immediately abutting their natal nesting site, Sue Wieber Nourse, staff of Mass Audubon and Allens Pond, and MAS friends and volunteers gathered for a group photograph, each holding a baby for release. People turned around and tucked their hatchling under the dense marsh vegetation. Then quickly, before these babies disappeared for the next three years of their lives to hide from a vast host of predators, everyone snapped a parting snapshot of their special hatchling. It doesn’t take too long to bond with these precious little cuties. 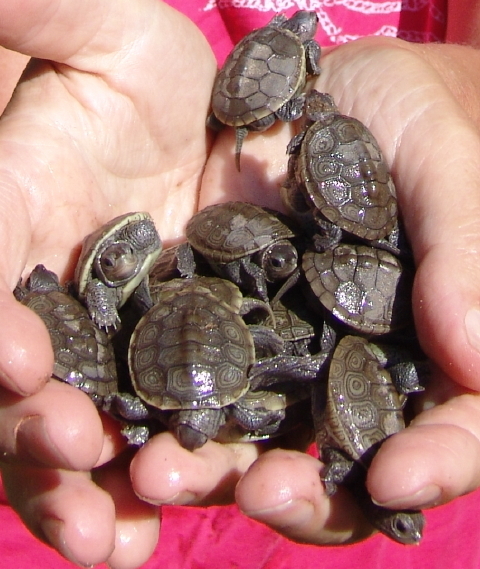 Once again, diamondback terrapin hatchlings prove their vital role as ambassadors for wildlife and the conservation of coastal ecosystems. 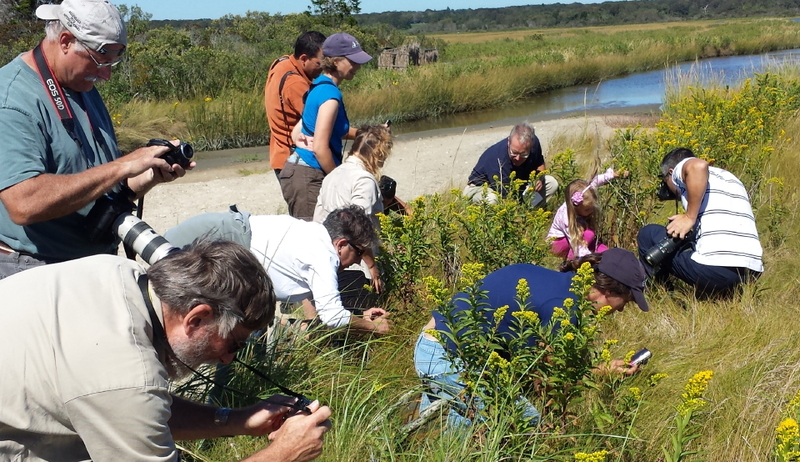 Mass Audubon’s Allens Pond Wildlife Sanctuary in Westport, Massachusetts offers good habitat for threatened diamondback terrapins, including abundant nesting areas within its expansive dunes and a rich salt marsh nursery. The Turtle Journal team in partnership with the Allens Pond staff has been monitoring this area for several years with the goal of locating and protecting terrapin nests to reverse the population decline in Buzzards Bay. The sprawling geography of Allens Pond, fragmented by private cottages and roadways, creates a significant challenge for researchers. 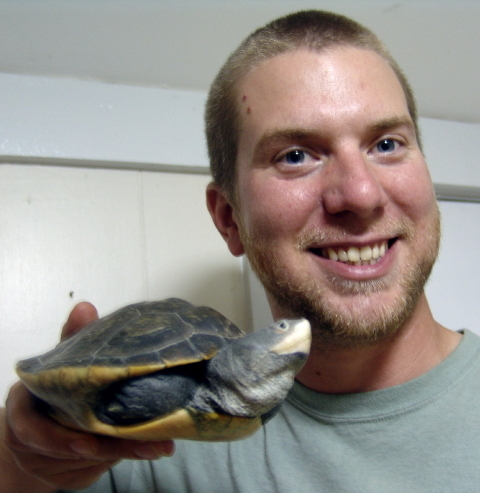 In this exciting case, the quest to save baby terrapins was also handicapped by nighttime darkness. As Allens Pond coastal waterbird monitor Pete Deichmann patrolled the dunes and shoreline on the evening of June 20th, he caught sight of a female terrapin scratching the sand around dusk. Pete immediately called the Turtle Journal team via cell phone. Sue Wieber Nourse responded to Pete’s call and she sped to Westport from Marion as darkness enveloped the South Coast. 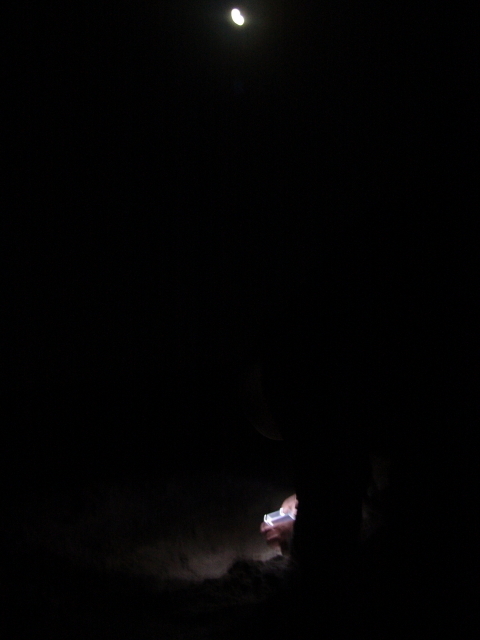 Before venturing into the night to locate the nest in the deserted coastal dunes, Sue documented the female terrapin that Pete had hand-captured. A new capture, Terrapin #6 from Allens Pond was blind in her left eye. She weighed 969 grams after dropping her eggs, and her carapace (top shell) measured 7.25 inches long. Now comes the challenging part of this night’s adventure. A waxing gibbous moon had risen over Buzzards Bay offering an exquisite backdrop, but little illumination, to guide the night’s rescue. Based on experience, Sue knew predators would be fast on the prowl, and the longer it took to recover these vulnerable eggs, the more likely hungry mammals would reach them first. Pete had found Terrapin #6 on a high tide nesting run in an isolated sandy overwash. 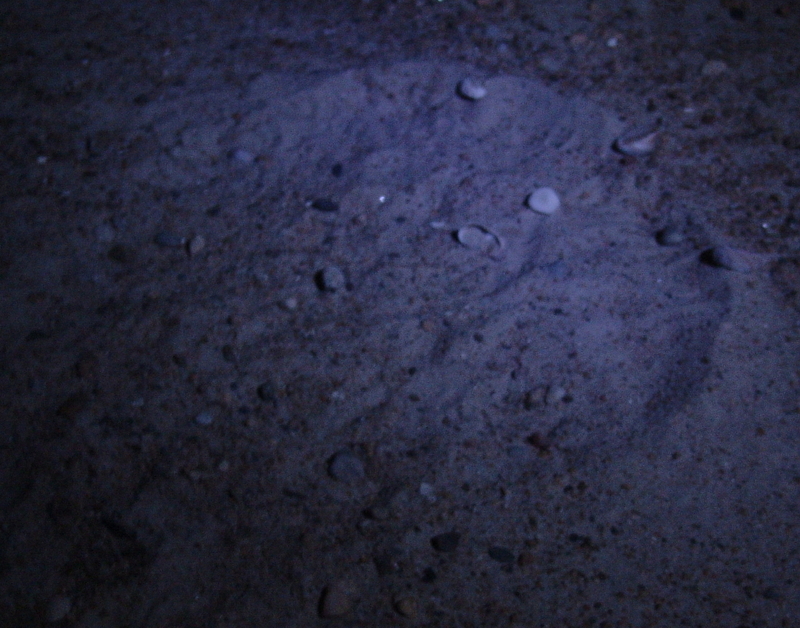 Even knowing its general location, finding the exact spot of the disguised nest itself among acres of homogenous sandy dunes … at night, by flashlight alone … would be a needle-in-a-haystack trick. Yet, with Sue’s turtle expertise and Pete’s knowledge of the terrain, they discovered the undisturbed nest before predators reached the site. 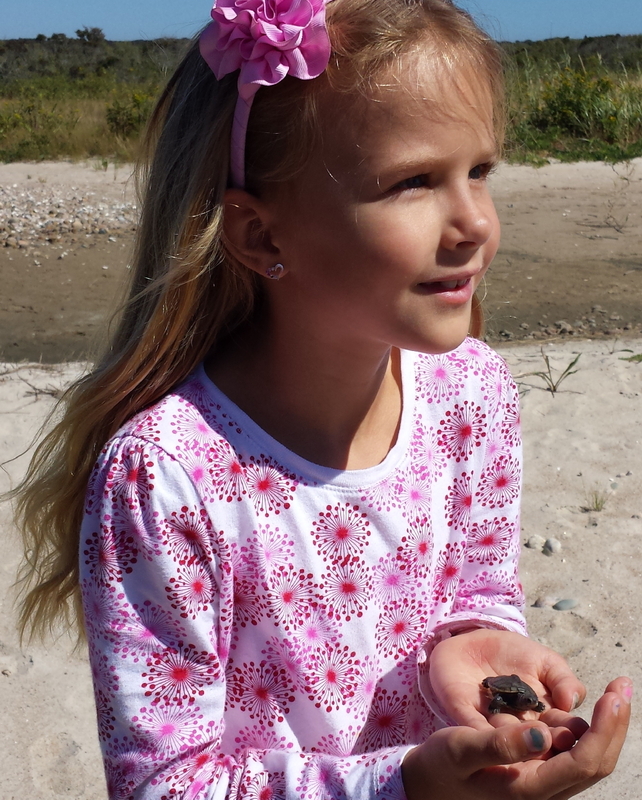 Nightfall magnifies the magic of turtle rescues. The unseen surf thunders in the background. Stars shimmer in the darkness, and the glow of a gibbous moon transforms a once familiar landscape into haunting mystery with hints of wispy shadows. Under dim moonlight Sue probed the nest blindly with her fingertips; she gently located the egg chamber to confirm a clutch of freshly laid terrapin eggs. Sue assessed that these eggs were extremely vulnerable to both tidal overwash and depredation with a near zero probability of survival. Sue harvested 14 pinkish eggs, gently packed them in moist sand for safe transportation and brought them to the Turtle Journal headquarters. Sue dug a nest in the TJ rescue garden similar to the one that Terrapin #6 had dug at Allens Pond. Sue gently filled the nest with the eggs and the natal sand she had retrieved from Allens Pond. She covered the nest with a predator excluder cage to ensure that these eggs could incubate in perfect safety, completing the nest relocation around midnight. On September 10th, after 82 days of incubation, Don Lewis and Sue Wieber Nourse checked on the progress of these babies. They discovered that several of the eggs had “pipped;” that is, the hatchlings had scratched through the eggshell with their egg tooth, and had begun shredding the egg with their powerful tiny claws. 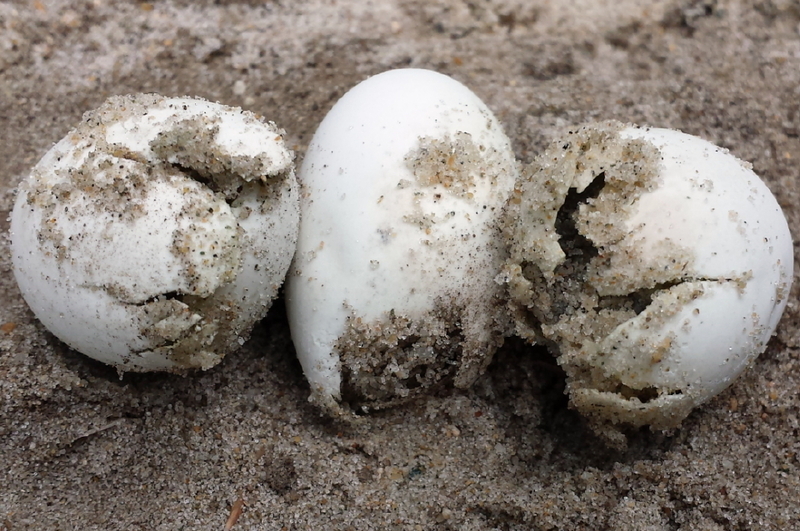 Don and Sue reburied the nest because it usually takes three to five days after pipping for the hatchlings to emerge. Sure enough, on the morning of Lucky Friday the 13th, three days later, the Allens Pond babies dug an emergence hole to the surface and scrambled for the sunshine. Of the 14 eggs, every one had successfully hatched. A 100% hatch rate! 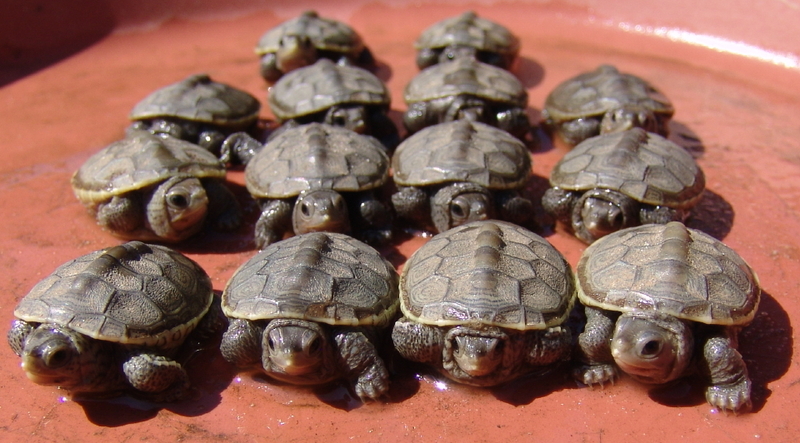 On September 19th, these 14 beautiful, healthy babies will return to Allens Pond for release. They will have beaten most of the odds against survival. As many as 95% of terrapin nests are destroyed by predators. Of the few eggs that naturally hatch, perhaps 1-in-250 to 1-in-1000 survive to adulthood. Most babies are picked off by predators as they try to reach the safety of their nursery habitat where they must hide for their first three years of maximum vulnerability. So, these lucky Friday the Thirteenth babies have been given a huge boost to survival and the terrapin population of Buzzards Bay has been equally helped with a new generation of healthy recruits. You are currently browsing the Turtle Journal blog archives for September, 2013.